At the beginning of this month Nintendo of America cut the price of Nintendo Land in half, chopping the recommended charge from $59.99 to £29.99 in stores and on the eShop. That's certainly a tempting price for those that didn't get a copy with their system, and makes sense with new bundles mixing up the packed-in games. In a slightly odd twist, however, the mini-game collection has now apparently been removed from the eShop in the region, despite the press release announcing the price cut confirming the discount would apply in stores and on the download platform. Users on NeoGaf noticed and, according to some, it's been gone for a short while. In Europe nothing's changed at the time of writing, with the game available on our UK system at the full price — there's been no formal discount in the region, though physical copies are often discounted by retailers. This may be a deliberate strategy by Nintendo to drive physical retail sales, though unlike Wii Party U's absence from the download store we can't attribute the move to a desire to sell Wii Remote bundles. If you are in North America and yet to own a copy, it looks like you'll need to head out to a store or online retailer to find it. As of now it's a weird decision. Too bad, Nintendo Land is an AMAZING game. Well, I got my copy from buying my Wii U, but I do find this odd. @MadAussieBloke I opened mine when I got it. Never since though. It is possible that this is either a temporary removal, or they are removing it for a different reason other that discontinuing it (update, though since its only in one region i doubt that). I could understand if there were licensing issues, but as Nintendo own all franchises included in the game, it just makes me wonder if it's just not selling enough. Besides, it won't be missed, it's not one of their greats now is it. 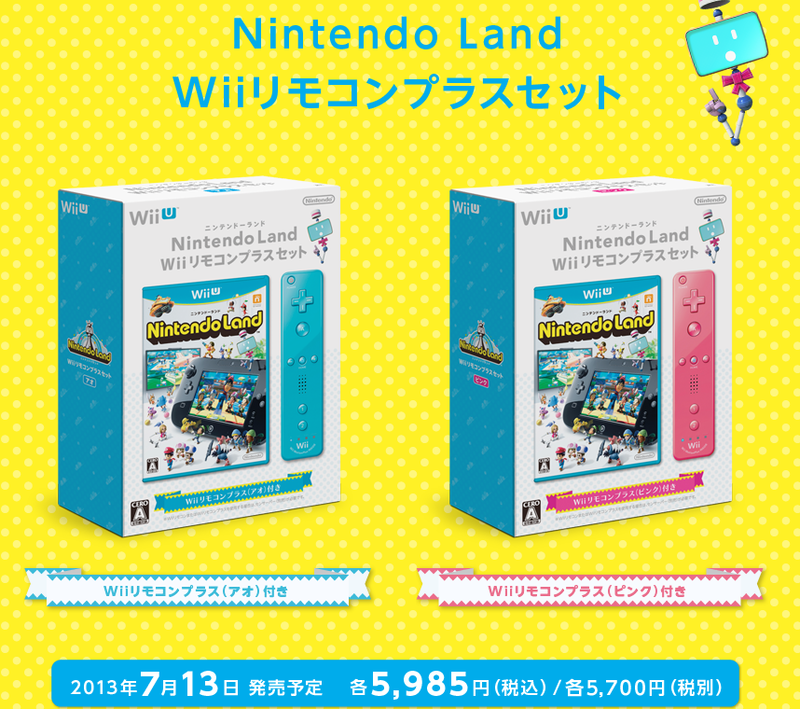 I think like with Wii Party U, they plan to release a packaged version of Nintendo Land with a Wii Remote Plus controller. Well that's the only reason I could think of. @MadAussieBloke How do you know Zombi U etc are better when you haven't played Nintendo Land? I have the eshop version of Nintendo Land that I got free with the Zombi U bundle. Best of both worlds. You can get it used at Gamestop for $15 bucks. I wouldn't pay anymore for it. Such a boring game. Huge disappointment. I guess that means my hope, more like distant dreams, of DLC are crushed. Kind of surprising that they are going to just retail. They have been pushing downloads ever since the Wii U came out. @Thomas - When did NA use the UK currency? This might totally sound dumb, but maybe it's a concentrated effort to drive people to Wii Party U as the de facto mini game collection? At 29.99 it kind of undercuts Wii Party. That or NL just wasn't selling. To anyone who didn´t enjoy this: Get SOMEONE or more to play with you! Then the game makes muuuuuch more fun! As a single-player one get´s limited quite a bit. Too bad there is no online in Nintendoland. As mentioned before, were it available I would buy an online integration as a DLC for a reasonable amount of rupees. Way too expensive anyway... Should a came free with system. 50 quid for 3 reasonable decent tech demos n umpteen crappy ones is pretty pants value for money. @jjmesa16 No every since NSMB2! The Zelda and DK ones were brilliant, and the FZero one was decent and the rest were okay or good. I wouldn't be surprised if it's back up again soon though. Sorry, where exactly does Nintendo state that they are ' Closing it's doors on downloads '? It's never a good sign when you're digital versions are removed. If the reason is to "drive up physical copy sales", that's just backwards thinking. TBH, if Nintendo had any faith in the game they would have pushed the heck out of it at launch. You gotta remember how much they pushed wii sports in comparison. Wow. Didn't realize so many people hate it. Its a lot of fun IMO. I honestly don't think this is a smart move by Nintendo at all. I think the files are still on the eShop so if you need to re-download or use a card to get it you should still be able to. 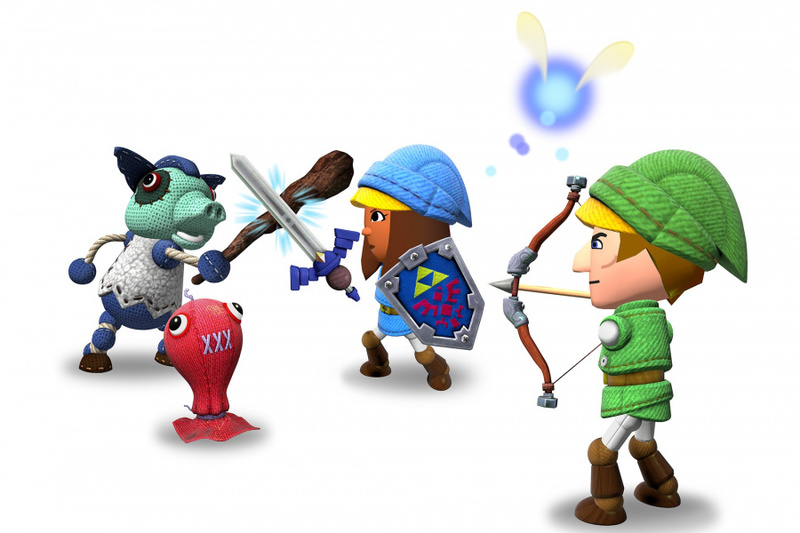 I think Nintendo made this move because this game needs Wii Remote Pluses to be a fun party game. I personally believe Nintendo might bundle it with Wii Remote Pluses in more regions at some point in the future. And this is why I like physical over digital. If I still want a copy I can find it in a store or online. If this was a digital only reason well, it would be gone for good. True story: When I bought my Wii, Wii Sports NEVER worked so I went back to get another copy and it didn't work so I've never played it. Git my Wii U on launch day ang JUST tried NintendoLand and guess what... doesn't work. It goes to the title screen but plays that catchy theme song over and over. Never played it though. @SirGreatNose I think it was a joke that Nintendo Land is closing its doors on downloads, since Nintendo Land is basically a virtual theme park. Mainly with friends/family but still. @MixMasterMudkip So many people hate it? I count 2 and one who didn't try it. Anyone who thought it was boring is definitely doing it wrong. lol. I'd say most try the early levels and give up completely missing the depth and challenge that all the mini games eventually introduce OR they play alone which removes a lot of the best parts of the game. As brilliant as DK and Yoshi's Fruit Cart are, they aren't really worth $60 or even $30 alone. I guess there's that F-Zero game but that's my least favorite in the bunch I think. I suspect this is only a temporary move. As someone else said, they're probably trying to encourage physical sales for the holiday season. Or maybe they manufactured tens of millions, figuring it would be a pack-in for the lifetime of the console, and want to liquidate some of that stock. @ThomasBW84 They discounted & currency converted the price from $59.99 to £29.99 in the US?! 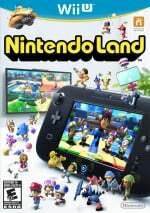 If they haven't been selling enough retail copies of Nintendo Land I blame the people of the USA for not having enough £ in their wallets!!! I'm not so sure it's to push physical sales. If that was really the case, wouldn't they have removed New Super Mario Bros Wii U as well, especially since they have a bundle (though I guess they might not be able to do that if the game is digital)? Too Bad. When will they remove it? There's no way this is permanent, right? Stuff like this seems to happen all the time and they're always back up after a while. The only reason I can see for this move is retailers crying about losing sales to downloads. Honestly I thought Nintendo regarded download sales as a major part of their future revenue stream so taking this offline and not offering Wii U Party (would have been a day one purchase for me) makes no sense in line with business news of the past year. Screw the big box retailers and give the people who bought the thing from you all of your software to buy at minimum Nintendo! Whadda ya wanna bet this may have something to do, w/ getting ppl into stores for Black Friday? & this could be a game-specific trick; if you want the game, you have to get the WU systems/bundles that contain it. Although, such a move is a little odd, if that's what they're doing. Might work, though. Maybe there is an overstock of the title, & maybe Nintendo doesn't want the extras winding up @ Gamestop for "cheap"; what public perception does actually exist for the WU would be that the pack-in game is junk, & not worth getting. Could also make someone rethink getting the console, who is easily put off, & doesn't search stores, & online for other games for the system. I wouldn't be surprised if this does have something to do w/ Black Friday. Likewise, I wouldn't be surprised if this was a convoluted move by Nintendo, that perhaps only they understand, for now. I swear I don't know what Nintendo is doing most of the time these days. It seems to me the company is doing so many confusing, clumsy, bad things, so many bewildering and bad decisions, that I've just lost count and even a lot of faith in Nintendo at this point. It's still got it's moments of brilliance but this is not the same Nintendo it used to be and that I used to love unquestionably. I genuinely think the American influence has for the most part ruined Nintendo. Now, if only it would disappear from store shelves the planet would be RID of this mehness. The Black Friday theory makes sense, as it is only in North America. I just wonder why they put it up in the first place then? They could have waited until BF was over to actually release the discounted game in the eShop. And the hits just keep on coming. Nintendo clearly has a death wish. Only someone clinically insane would actually remove content from their already understocked eStore. This is beyond tragic. Eh. I already downloaded it for free and it still gave me two free 50 pesos codes from the deluxe promotion so this certainly does not affect me. The new North American Wii U bundles are pretty good, and will help sales, but Nintendo should have included Nintendo Land as well. Including 2 or 3 games would do wonders for the perceived value, and I doubt they will be selling many more copies. "chopping the recommended charge from $59.99 to £29.99"
I don't think that NOA is asking for pounds now. That would be a drastic move indeed. Well I got mine with my system so this doesn't affect me in any way but for lazy people who just want to download it for convenience purpose, this will encourage them to get off the couch and go out to grab a copy. Fortunately I feel that physical copy should never be digital download in the first place which is why I also pick up Darksiders II physically instead of digitally, that game disappeared digitally the moment THQ disappeared. Being retail only doesn't really matter as only about 25% on the internet connections fast enough to download this anyway. With 70% still on DSL & 5% refusing to move from dial-up that's 75% of people who can not download this game at all what so ever. I was planning on getting this as Retail anyways since i hope to be getting a Wii U (The Wind Waker HD Bundle ) this Christmas. HOPEFULLY! Digital downloads will never catch on if they keep this up. "This may be a deliberate strategy by Nintendo to drive physical retail sales"
I don't think so since Nintendo is pushing digital pretty hard! Why would they have a change of heart all of a sudden?! One thing's for sure: This doesn't push Wii u sales one bit!! "At the beginning of this month Nintendo of America cut the price of Nintendo Land in half, chopping the recommended charge from $59.99 to £29.99 in stores and on the eShop." Will someone get that gun away from Nintendo before they shoot themselves in the foot again?! Since when did NA change currencies? Well maybe they want to make the digital version more of a bundle exclusive thing. @dumedum free Nintendo land with zombie u bundle !?!?! I didn't get this, I spent £50 to get this dust magnet despite getting a release day Wii u,.are u uk? Not cool Nintendo. It's hard enough getting gamers to pick up the Wii U.--they shouldn't play games with releases like this or gamers will switch to greener pastures like the Playstation online ecosystem where accounts aren't tied down to specific hardware and releases don't go in an out of circulation for no given reason. This better be a mistake. This makes no sense. Physical media is dead/dying, Nintendo. Guess I won't be buying this when I get my Wii U this Christmas. The Legend of Zelda Battle Quest: 9/10 Great! Everything else is good, okay, or bad and boring. This needs to be done anyway. As a game collector, I much prefer physical copies of retail titles to downloads.